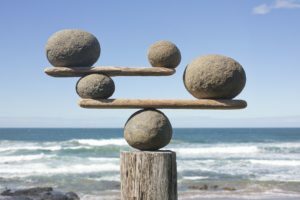 Share the post "How to Create Balance in Your Life and Set Goals in 2018"
Do you ever feel that your life is out of balance? Maybe your career is flourishing, but because you spend so much at time at work, your personal relationships suffer. Or maybe you haven’t been paying attention to your health and it’s starting to have an effect on other areas of your life. Perhaps, you don’t even know what it is you need to improve, but you just have this feeling of dissatisfaction, like something is missing. I want to show you an exercise to help you examine your life to add more balance to it. Use this worksheet to help you add balance and focus your goal-setting for 2018. If you’re my client and need more tips on life skills, sign into Sellchology University and go through the Sellchology of Life curriculum.